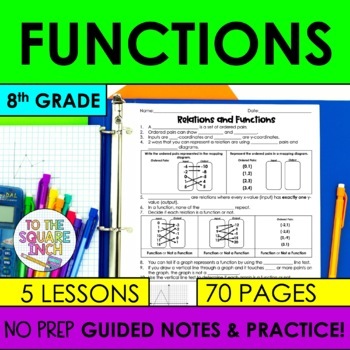 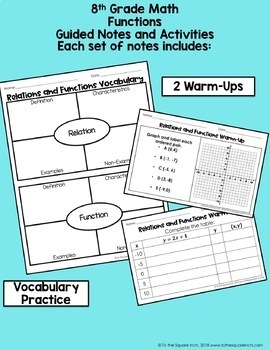 This bundle includes guided notes, practice activities, warm-up and exit slips for each of the 8th Grade Math Functions Common Core Standards . 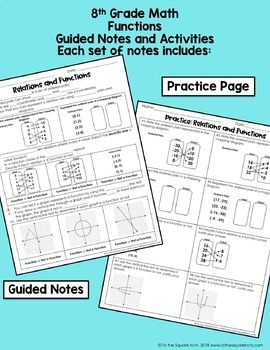 All notes and practice have also been formatted into a booklet to fit into interactive notebooks. 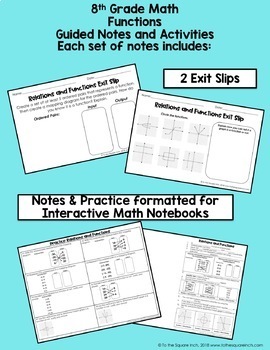 These 5 products are bundled together for over 20% off the original cost.